Are you dreaming of a flawless complexion and more youthful skin to ring in the New Year? A SkinPen® treatment might be exactly what you’re looking for! 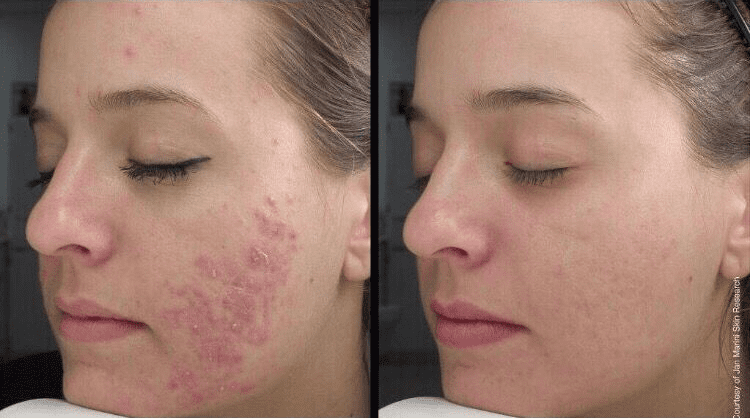 SkinPen® by Bellus Medical is the first and only FDA cleared microneedling device clinically proven to safely and effectively rejuvenate your skin and improve the appearance of acne scars. With as few as 3 non-invasive, affordable treatments spaced about 30 days apart you can step into 2019 with confidence! SkinPen® produces controlled micro-injuries that stimulates your bodies natural wound healing process while minimizing cellular damage. The result is effective remodeling of skin tissue, including acne scars and fine lines. Phase II: Proliferation. The wound is rebuilt with new granulation cells, which are part of the extracellular matrix. Additionally, a new network of blood vessels develop. Phase III: Remodeling. The wound is replaced with new dermal tissue and blood vessels. Best of all SkinPen® works! Ninety percent of the patients who participated in the clinical trial would recommend the treatment to friends and family members. Microneedling with SkinPen® may be your new best friend when it comes to skin rejuvenation and combating the appearance of acne scars. A plan for your best results: During your consultation at Aesthetic Assets, Face and Body Rejuvenation Center your expert clinician will recommend a treatment plan based on your medical history and individual goals. A comfortable procedure: A topical numbing will be applied to the treatment area. A short procedure time: The treatment usually takes about 30 minutes. 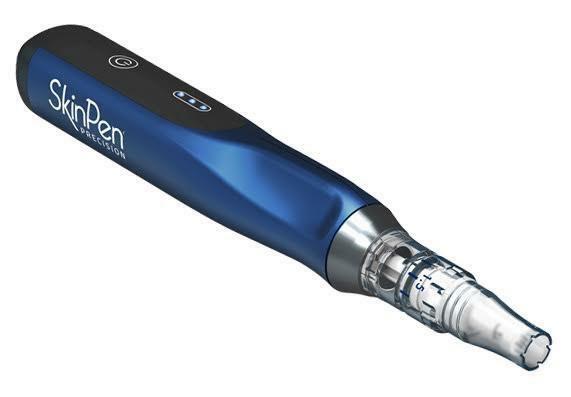 Mild sensation: Most patient report feeling a slight vibration of the SkinPen during the treatment. Minimal post-procedure effects: Your skin will appear slightly pink or red immediately after the treatment similar to a mild to moderate sunburn. Some patient experience dryness, tightness, itching or mild peeling after the treatment. These effects resolve over time without further complications. 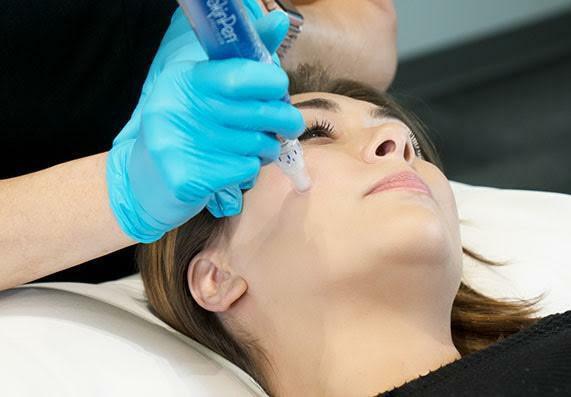 An effective post-treatment protocol: Your clinician will recommend an effective after care regimen that will support your skin following SkinPen® microneedling. Results with little to no downtime - A picture says a thousand words. With decades of experience, our team is at the forefront of state-of-the-art nonsurgical aesthetic enhancement techniques. Located in Scottsdale, Arizona, against the backdrop of the beautiful McDowell Mountains, Aesthetic Assets - Face and Body Rejuvenation Center serves locals and visitors from all over the country. You can schedule your complimentary consultation by visiting our website at Aesthetic Assets. Be sure to check out our online store where you can purchase the best pharmaceutical grade botanical skincare available and have it shipped directly to your home! The best ways to fight the signs of aging in your face are to eliminate deep lines and wrinkles and restore volume. Sculptra® Aesthetic accomplishes both. Your face greets the world, so you want it to look as vibrant and youthful as you feel. Here’s how we can put your best face forward with our INFINskin® wrinkle reduction system. Fighting stubborn pockets of fat can be a seemingly endless battle with little to show for your efforts. We can change all that with CoolSculpting®. Run, workout & still have Cellulite? What if we could offer a non-invasive treatment package to reduce the appearance of cellulite that requires no pain & no downtime? Don’t let cellulite reduce your self-confidence. Read on and start the New Year right! When it comes to anti-aging techniques, few deliver the immediate punch like Botox®. Here are 5 reasons why you should make Botox a part of your regimen! 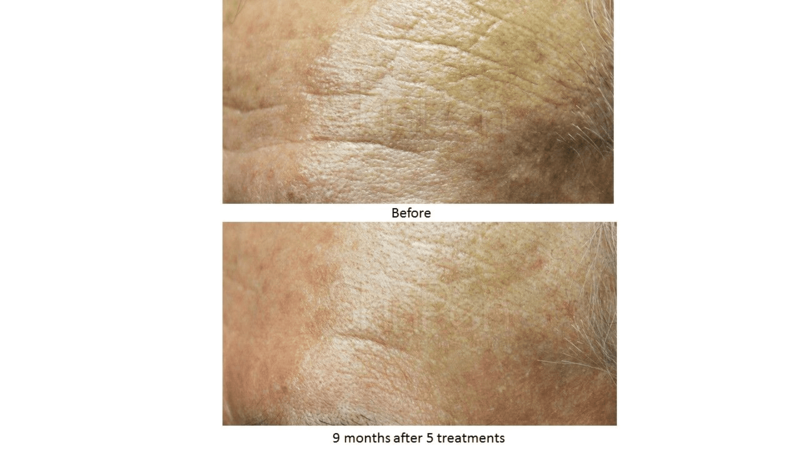 Chemical peels provide an affordable and effective solution for rejuvenating your skin. 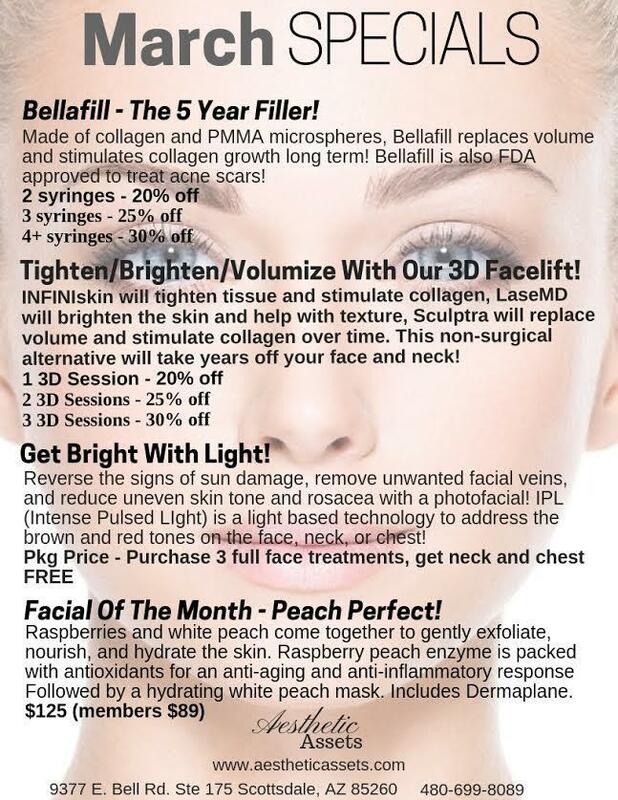 At Aesthetic Assets, you have your option of three: clarify peel, refine peel, and transform peel. Find out which one is best for you!